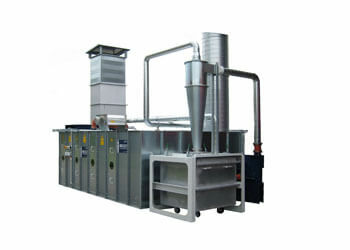 The compact filter unit (CFU) is a multi-stage, continually operating system for removing fibres and dust. It can achieve high filter classes. It collects, extracts, separates, filters and discharges the coarse and fine particles generated in many production processes. Depending on the application, the separated materials can be returned to the production process or compacted and disposed of. 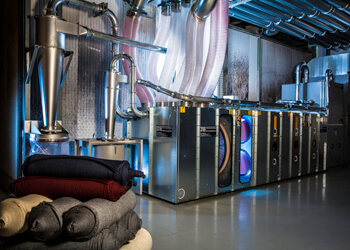 Depending on the air quantity required, a number of pre-filters or fine filters can be arranged next to one another and above one another as modules. 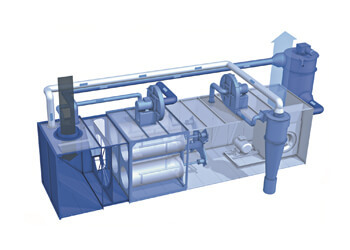 An optional microfilter module can be added to achieve even greater air purity.